On Neflix, streamed through the ROKU streamer into the 46 inch wide-screen HDTV, I recently caught up with that unsold pilot from 1986, Condor. 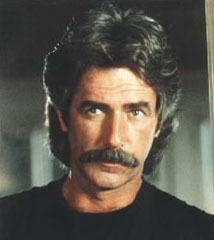 What a great piece of the 80s. Coulda been a dandy series, too, but, well.....Like I said--Unsold. Pity. The basic set-up has Ray Wise (of Psyche, The Good Guys, Twin Peaks, etc., etc.) 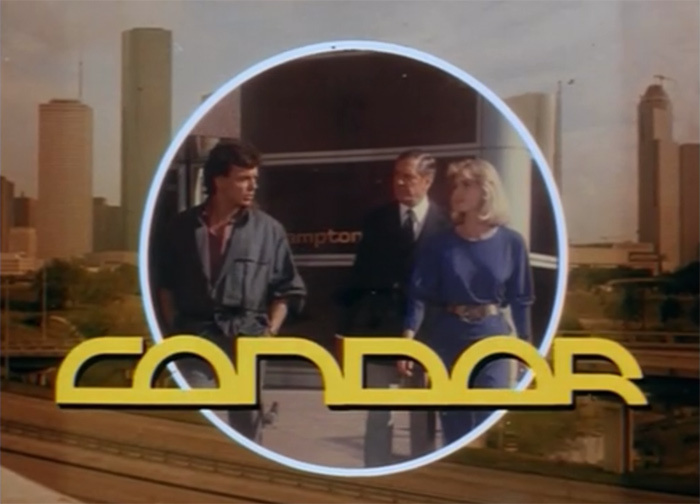 as Proctor, the heroic agent of that well-known law-enforcement agency, Condor. His partner is a knock-out blond android of the female persuasion, Lisa Hampton, portrayed by Wendy Kilbourne. The arch-nemesis is “The Black Widow” played to the aces in black leather and escaping from prison in a jet-pack by Carolyn Seymour. Absolutely no plot to get in the way of the 80s snappy dialog, the robot prison guards, the “TriHawk” tricycle chase scene, the IBM 286 personal computer, the laser guns shooting red and blue bolts of lightning, the toy helicopter drones, the Michael Jackson inspired mens clothing, and the the Chrysler mini-vans. Worth the time spent for the near kiss between a human and an android and a brief android camel-toe alone. Have a look. On Netflix.